Lazair.com • View topic - What's this for? I haven't seen anything like this on any of the Lazairs that I have ever seen. Can anyone out there identify it? Could also be, (hard to tell from this angle), a mounting bolt for the front axle tube. I see what looks like the doubler on the bottom of the frame. Maybe that frame tube came from a series 2. If you look at my picture, you can see that same doubler on the bottom of the frame with the bolt going through it. Looks to be the same area. I do have pics of it when it was set up on the floats... just have to find them!!! 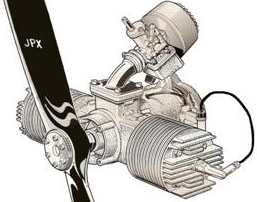 Let me know when she is ready for flight.... what motors are you now using? I opted to go for the KFMs instead of the JPXs. Bill, if you have any pics we would love to see them posted. I wasn't aware that you ever had it on floats. Are those your floats out on Frans property? If so, one of the pontoons is trashed from sitting out in the sun all those years. A person that's good at fiberglass work could probably save them though. Flew F-4s in the Vietnam days... I don't think he made it to Nam... too late.. I didn't see the article, but I heard about it. I can remember Fran's Lazair and his Falcon. His ultralights always stood out with the large "JESUS SAVES" on them. One winter he and Richard Wheeler landed Lazairs with skis on my parents lake and then came inside for a cup of joe before heading on their way. That was real cool, I hope to do the very same with my two-place someday. 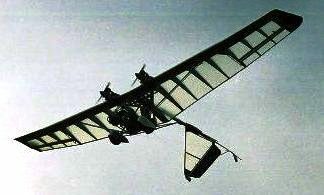 Here's a pic of the 4-cycle monnet glider that Bill was talking about.